Electricity is the most universally used power source. It is something you need to handle with extreme care; otherwise, the results might be different from what you expect. Therefore, you need to make sure all the electrical related issues are handled ONLY by professional electricians in London. Sometimes the problem might look so simple for you, but still, it is recommended not to get involve with electricity unless you are a certified professional. If you ever ignore this process, the chances of ending up with worse results are high. Electricity may cause damage to your property, equipment and more importantly to yourself if not handled in a professional way. Never underestimate the type of the task, as a small margin for error will end up with a devastating result. Be sure to assign your work related to electricity despite of the scale, to one of the reliable electrical services London and live a hassle free life. Considering the number of electricians in London, it will not be an easy task to pick one from the bunch. There are certain facts to consider in selecting the correct electrician London. One of the most reliable ways to find an electrician is by referring to your friends, colleagues, neighbours and relatives. They might have experience obtaining services from electricians in London. Be sure to verify the type of the services they offered and the mannerisms. Then get the contact details of the particular electrical service and call them in advance to see their compatible areas. It is much better to have a clear idea about their services before an incident. You need to check their history, availability (if they are available 24/7 or not) etc. Then have a brief idea about their prices too. It will be a great assistance to you in finding a London Cheap electrician to attend your work. When it comes to pricing, it is a thing you should handle with your common sense. If you are in search of a London cheap electrician, that doesn’t mean that you should necessarily end up with the best service provider. It is a matter of selecting reputed electrical services in London with a fair price range. You also should remember that the most expensive service provider is not always the best. Therefore, some background research is essential before taking a final decision. When you select an electrician London, you need to be sure about their credentials of that particular vendor. Remember, electricity is not something to DIY. There is hardly any room for trials. A simple mistake can lead towards a massive disaster including threats to the lives of the residents as well as the technician. Therefore, it is important to verify if your service vendor is a qualified, accredited and experienced London cheap emergency electrician. These certifications may include training in the field, and authorization from a reputed institute to attend jobs related to electricity. They also should possess their license issued by the local authorities to work in the buildings in your area. Despite of all the recommendations and cheap rates, it is your duty to hire an electrician only after ensuring all these requirements are met. 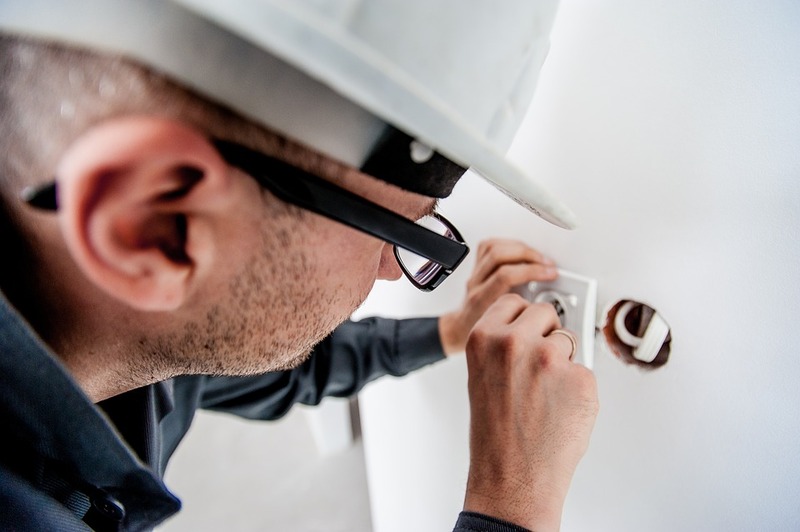 In addition to the qualifications possessed by your electrician London, you need to make sure the electrician you are going to select is bonded and insured in case there is any consequence. Give a good attention to this matter; otherwise, you may end up meeting series of troubles and spending unwanted amounts of money. Most of these service providers claim that they have insurance and bonds, but it is a wise man’s decision to check it by you before coming to a conclusion. Hiring the right kind of professional emergency electricians in London may deliver you loads of benefits. These professionals will give you the exact (or almost exact) price quotation before the job begins. It allows you to be prepared with the budget before anything starts. In addition to price, they will give you the approximate duration of the work allowing you to make adjustments to your schedule. With their experience, they will give you some guidance in handling electricity too. Concerning the cost factor, some people try to rely on inexperienced general workers to attend issues related to electricity. But that is a huge gamble they play when it comes to the safety. When you need to find a service provider, the Internet is another excellent source. Professional service providers may always maintain a nice and informative website displaying their information like contact details, accreditations, price ranges (approximately), their availability, details of previous customers (corporate and individual) and, more importantly, customer testimonials. By looking at the customer testimonials, you can get a good idea about the emergency electrician you are about to hire. In addition to that, when you can get a good idea of the professionalism of the company you have selected by determining the way they respond to your inquiries. If the process is handled in a professional manner with courtesy, they are more likely to be a better company with some organized culture. If the lines are out of order or switched off most of the time, you can hardly depend on such service especially in case of an emergency. Once you are through the searching process, you need to assure that you refer the prices and finalize the service provider. You need to write down the contact numbers and store them in your mobile phone to use in case of an emergency situation. Be sure to distribute the contact of the selected electrician London among your family members. It will make sure that everybody knows what to do in case of an emergency without panicking. They would know whom to call in such situation without running up and down searching for numbers of electricians in London. At the bottom line, it can be said that all the issues about electricity in your residence or workplace should be handled by nobody but a qualified and certified professional an emergency electrician in London to minimize the risks and save money.